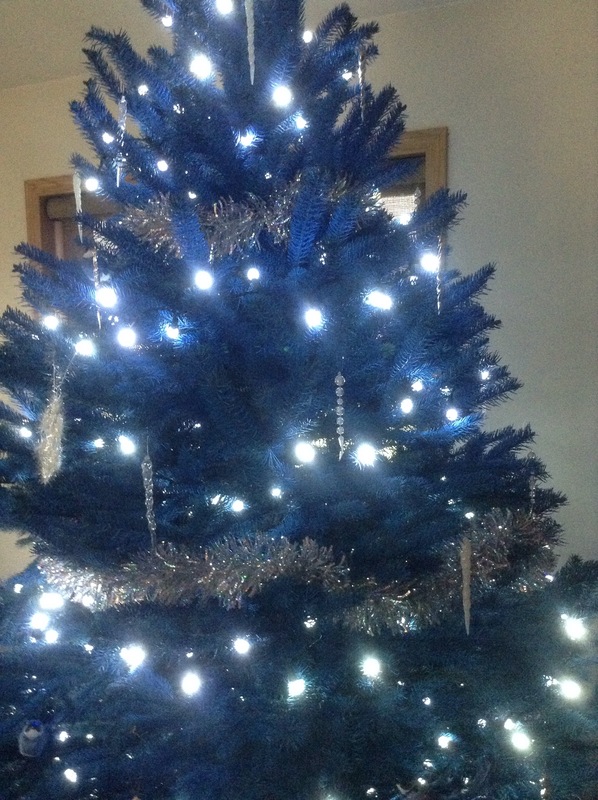 Last night I decorated my new real blue Christmas tree…alone. I felt such a loss after Angel left to go back to college. Year after year, we decorated the Christmas tree together. I really missed having her here this year. I didn’t tell her that though. There are so many kids dropping out to be closer to home. We both know she is right where she needs to be. My other two children were not interested in decorating the tree with me. Just this last weekend Arabella said that she didn’t think her teenage self would like me very much. Bayley was over and Alex wanted to spend time with her. The last thing I wanted was to force the kids to spend time with me. I want them to want to. I wanted for just a second to put them into my world growing up. I wanted them to realize how important this tradition is to me. But I protect them from all of that. The holidays sometimes does crazy things to my head. The next thing I know, I am back home. Mom and I are baking cookies for Santa. There is a tree with glimmering lights. There were Cabbage Patch dolls hidden in wrapping paper under the tree. Then just like that, everything I had was gone. Mom said that Matt couldn’t tolerate Christmas trees, real or fake. Everything stopped. We no longer had Christmas trees in the house. We no longer put out cookies for Santa. We no longer decorated with lights or candles. That was no longer allowed. What used to be magical and fun turned cold and desolate. It became a season of despair for me. Thankfully, my grandma always had us over on Christmas Day. I never cared that her trees were less than perfect. She always cut her own tree from her backyard. I was happy there. Except for the year that my mom told her that she could no longer have a tree because Matt was allergic. My grandma decorated the wall with bows that year. I was so angry. Last night I put my head in my hands and cried. A part of me will forever be broken. I wanted my kids to understand what having a tree means to me because I never had it. I did have it at one time, but it was taken away. I wonder if my younger brothers even remember a time when we had a Christmas tree in the house. Perhaps I will ask them. Maybe it is better if they don’t remember. Last night I felt so much anger and despair. If my mom were to call, I wouldn’t answer the phone. It is not fair to her to be angry about something that happened 30 years ago. It’s not her fault that Matt is autistic. The whole situation was unfair to all involved. I want to help other special needs families learn from my experiences, but I feel so much rage. It hurts to reach out. My mind goes absolutely haywire this time of year with anger, depression, and anxiety. I can’t seem to control it. I can’t seem to escape the memories. So many years have past now, but it still hurts when I pick at the scars. I’m sorry, I didn’t intend for my post to be this way. 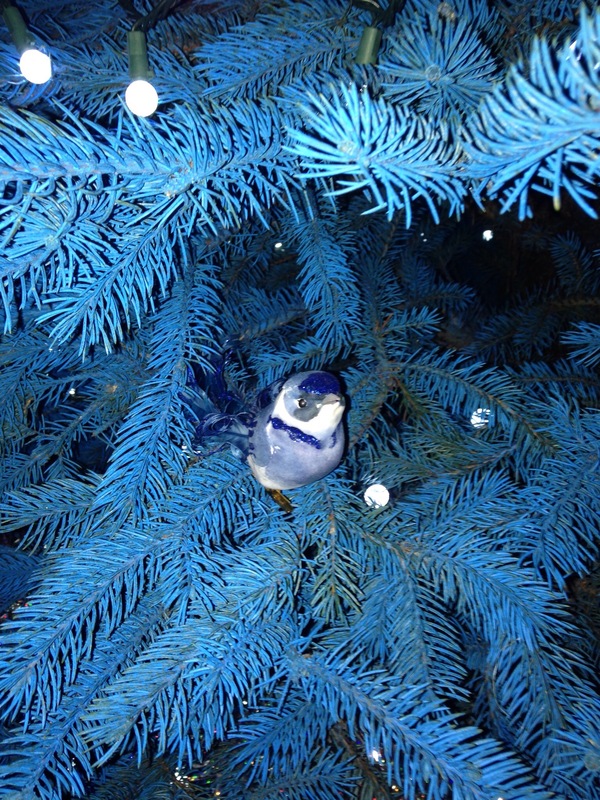 I was going to post a picture of my lovely blue tree. This post was going to be light and fluffy like the snow we don’t have on the ground outside. I didn’t think that I would respond this way. This time I didn’t brush the feelings away. I let myself grieve. Sometimes I wish my kids would understand that the things they take for granted as normal were never normal for me. I am not usually an emotional person. I am usually cool, calm, and detached from feelings. I don’t want to live in that cold emotionless void anymore. I want to feel now even if it hurts. I am stronger now, strong enough to handle this. Thanks for listening to me. It really helps me feel better.